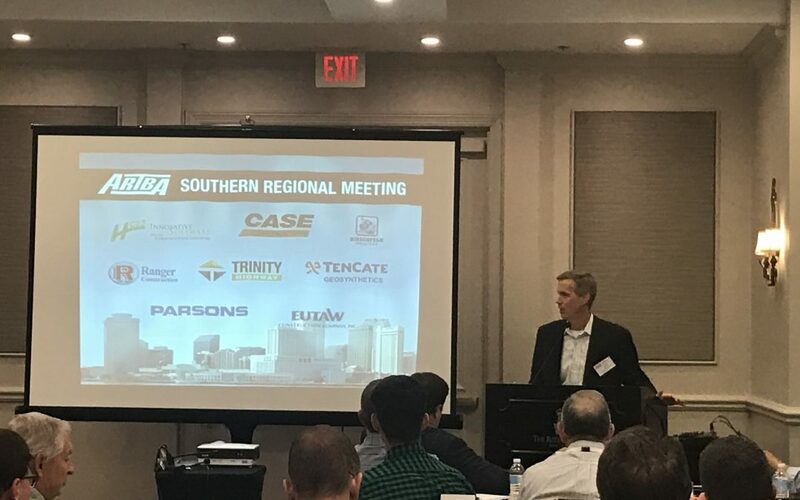 Transportation construction professionals gathered this week for ARTBA’s annual Southern and Western Regional Meetings. Similar Central and Northeastern meetings take place Nov. 2-4 in Chicago and Atlantic City, N.J., respectively. ARTBA’s Industry Leader Development Council (ILDC) developed expanded programs for all four meetings to include a professional development workshop. About 50 people attended the Southern meeting in New Orleans, which featured presentations and a workshop about Artificial Intelligence. Groups had an in-depth discussion specifically about how machine intelligence will impact the workforce of the future. Dr. Shawn Wilson, secretary for the Louisiana Department of Transportation and Development, also provided status report on key projects. The Western meeting in Austin, Texas, drew another 50 professionals. They had a discussion on autonomous vehicle technology, safety impacts, economic factors, work zones, planning, and design will have on the industry. Presenters Dr. Christopher Poe of the Texas Transportation Institute and Dr. Chandra Bhat of The University of Texas at Austin gave attendees several things to consider as the industry moves toward more connected and automated vehicles. Texas Department of Transportation Executive Director James Bass also addressed the group. Attendees at both meetings received briefings on federal and state transportation funding and regulatory issues, the new Safety Certification for Transportation Project Professionals program. They also heard the perspectives of top industry leaders about the state of business in the respective regions.